Yesterday was my Mom’s and my Aunt’s birthday. They are identical twins who are both very successful and are role models of mine. Though my Mom lives close to me in Southern California and my aunt lives in the Philippines, they sometimes see each other at family events (last time was at my wedding!) or when my aunt visits us. Since they are twins, It’s cute to see them together and it’s fun to joke and laugh with them. Like many Asian cultures, we also celebrate birthdays with a noodle dish to represent a long life. 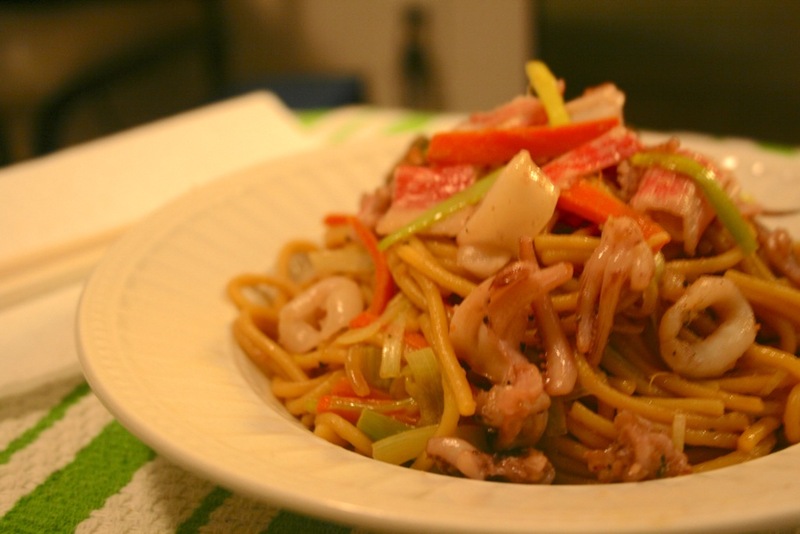 In the Philippines, we have pancit for birthdays and also for special occasions where we feast with lots of food. When we cannot all be together to celebrate, we still have pancit, or at least some type of noodles.